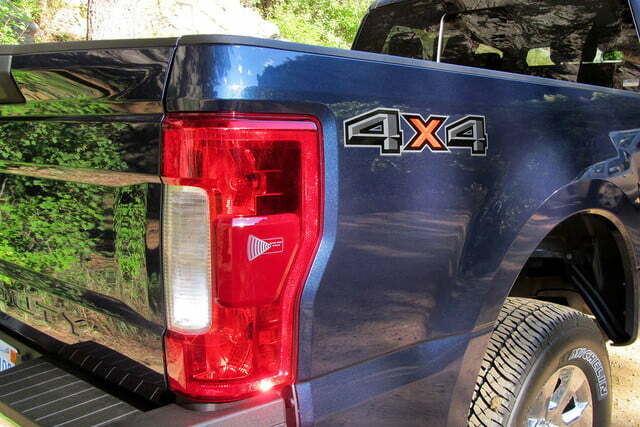 If there’s one corner of the automotive world that the tech revolution hasn’t touched, it’s heavy-duty trucks. 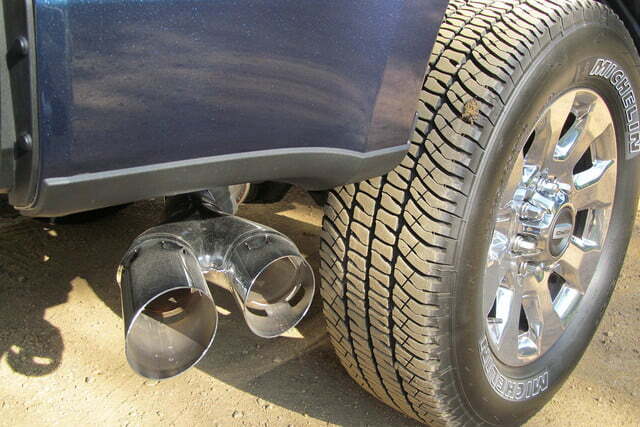 In this realm, torque and tow ratings matter more than the number of USB ports, or the resolution of display screens. But Ford thinks big tech can make big trucks better, and it’s putting that to the test with the 2017 Super Duty. 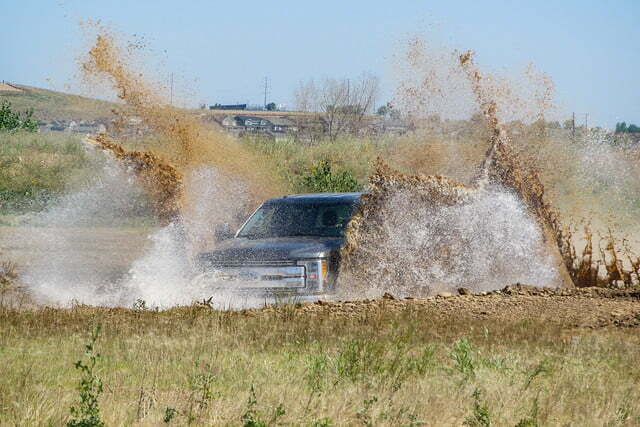 The Super Duty makes a strong first impression. 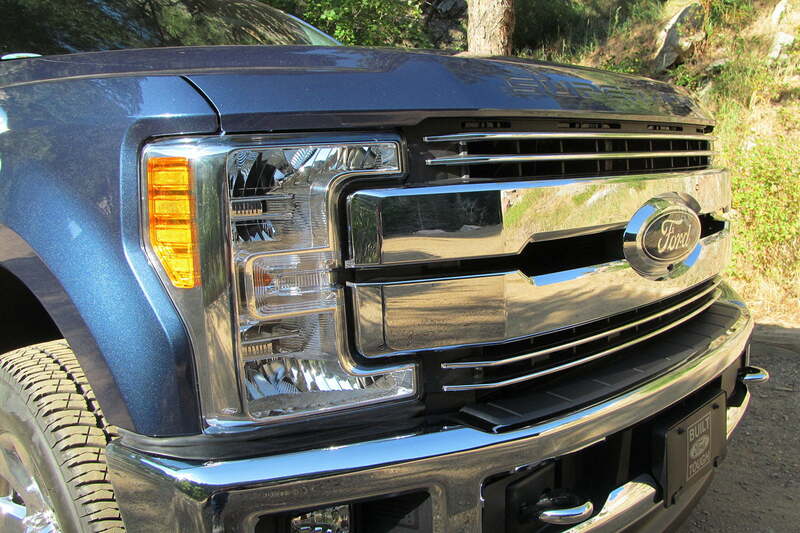 Up front, C-shaped headlights with a distinctive LED signature give the Super Duty a totally new and much more modern appearance. The headlights bracket two massive chrome bars, with a huge Ford badge in the center. 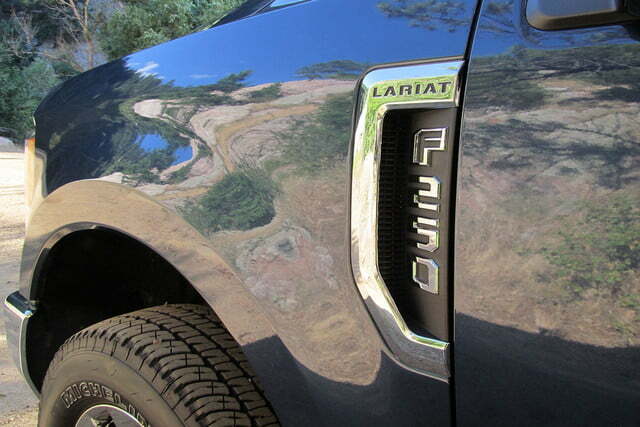 Along with the nearly flat hood and bulging wheel arches, the front fascia emphasizes the truck’s size. This beast must look pretty intimidating when glimpsed through the rearview mirror of an ordinary car. 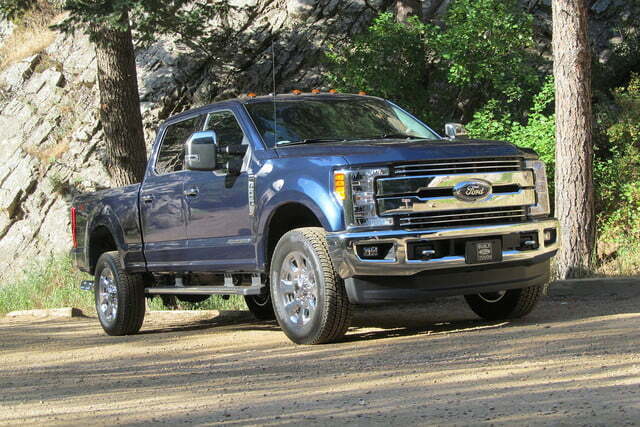 The diesel engine is impressive, with plenty of power at all speeds and virtually none of the clatter and vibration typically associated with diesels. Cutting weight out of the body allowed engineers to beef up the steel frame, which Ford says is 24 percent stiffer than before. Other hardware such as the axles were upgraded as well, and Ford still claims an average 350-pound weight savings over the previous Super Duty, compared to a claimed 700 pounds for the aluminum F-150. 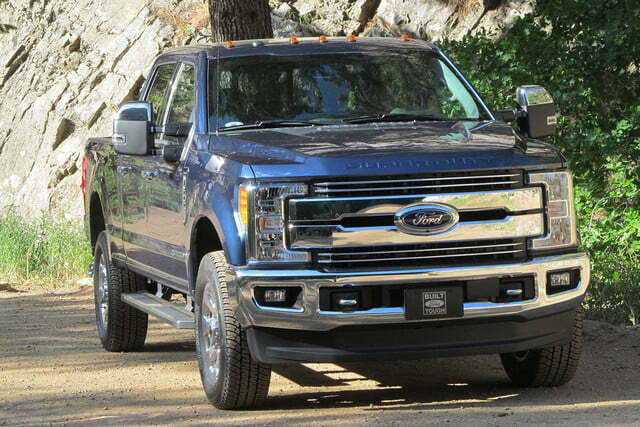 The move makes sense, as The Super Duty is so big that Ford doesn’t need to report fuel-economy figures for it anyway. 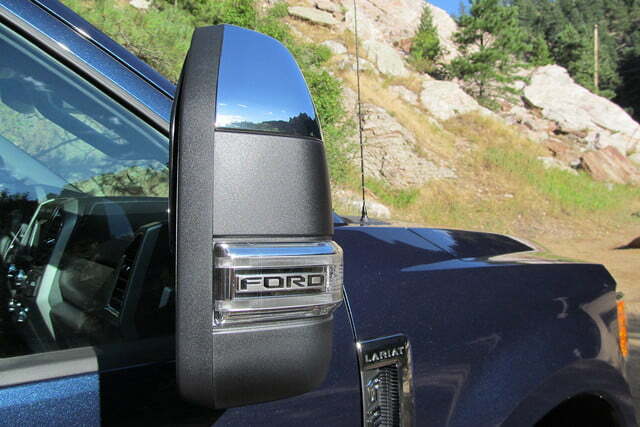 Out on the road, the 2017 model definitely felt more solid than a 2016 Super Duty Ford had on hand for comparison, but this is still a body-on-frame truck, so there was plenty of shuddering and shaking over bumps and some of the rougher surfaces on the drive route through the foothills of the Rockies just outside Denver. 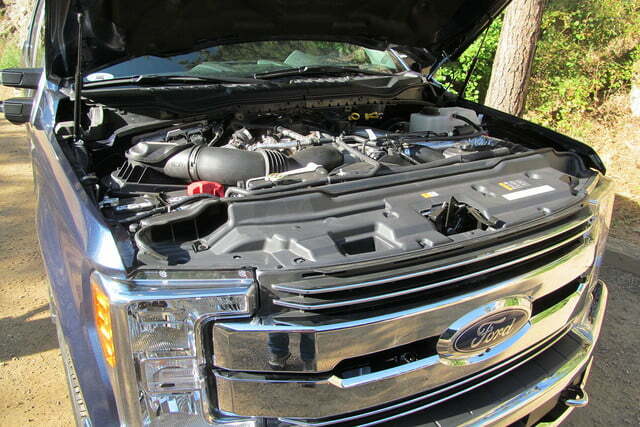 Buyers get to pick from two burly V8 engines. 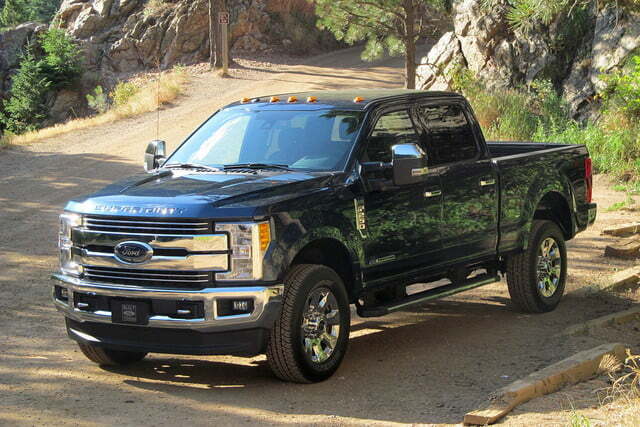 The 6.2-liter flex-fuel gasoline engine produces 385 horsepower and 430 pound-feet of torque, while the 6.7-liter Power Stroke diesel makes 440 hp and an unbelievable 925 lb-ft of torque. 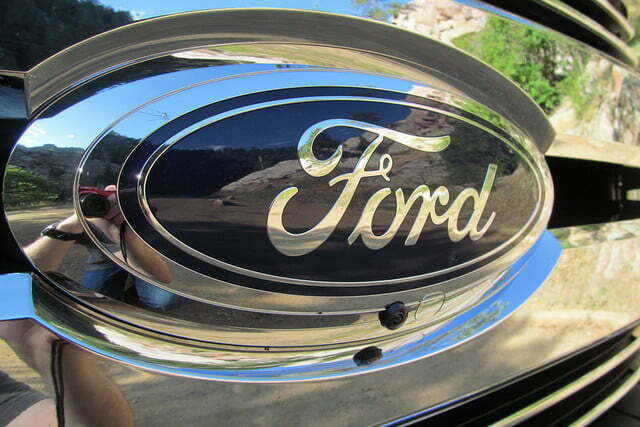 Both engines come with six-speed automatic transmissions, and rear-wheel drive or four-wheel drive. 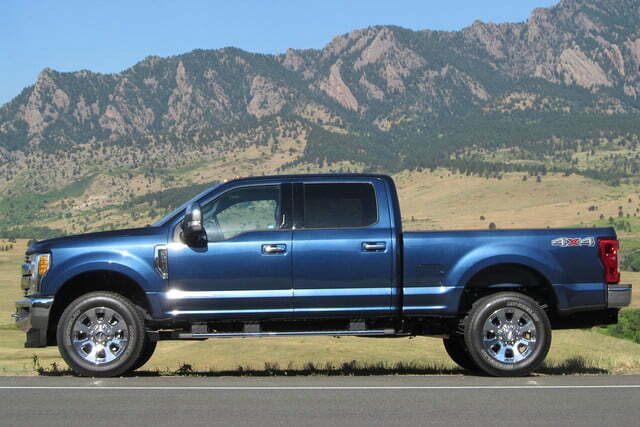 The diesel in particular is an impressive engine, with plenty of power at all speeds and virtually none of the clatter and vibration typically associated with diesels. 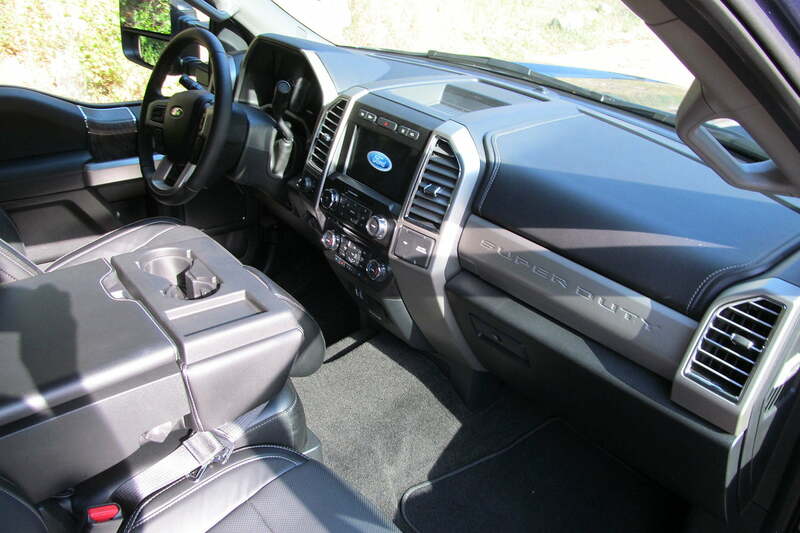 What really sets the 2017 Ford Super Duty apart from other trucks is the sheer amount of tech features available. It’s possible to trick one of these trucks out with an array of cameras, plus driver-assistance systems that are familiar fare on cars, but new territory for heavy-duty trucks. Depending on how it’s equipped, the Super Duty can have a forward-facing camera in the grille, a rearview camera on the tailgate, cameras in the side-view mirrors, and a camera on the CHMSL (Center High-Mounted Stop Light) over the bed. 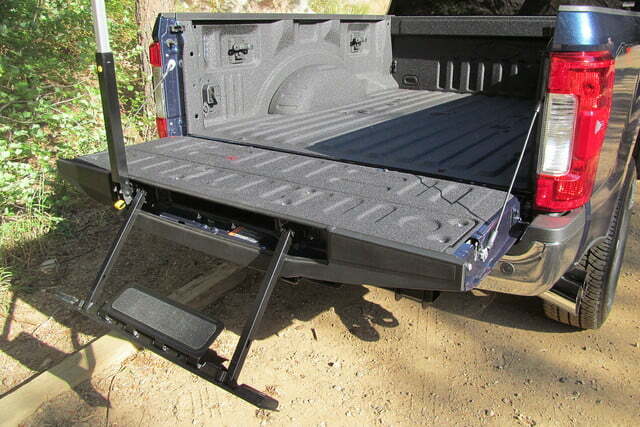 The latter is really only useful if you’re towing a large trailer with a gooseneck or fifth-wheel hitch, and need to see into the bed to hook it up. 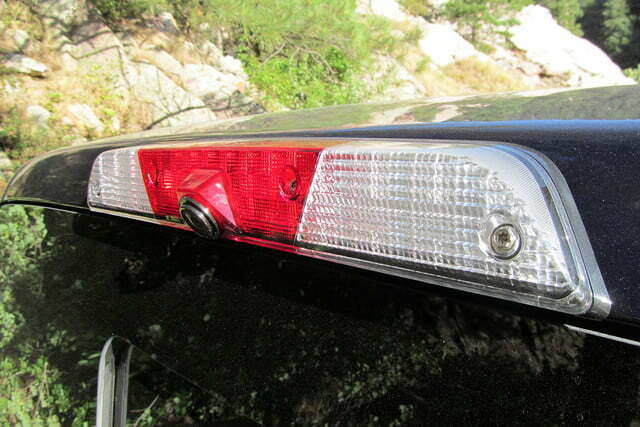 The cameras were helpful for both maneuvering out of tight parking spaces and avoiding obstacles off road. The cameras make maneuvering such a large vehicle pretty easy. They can provide front or rear 180-degree views to help peer around corners, or an overhead 360-degree view. Thanks to these cameras, no body panels were harmed in the making of this test drive. 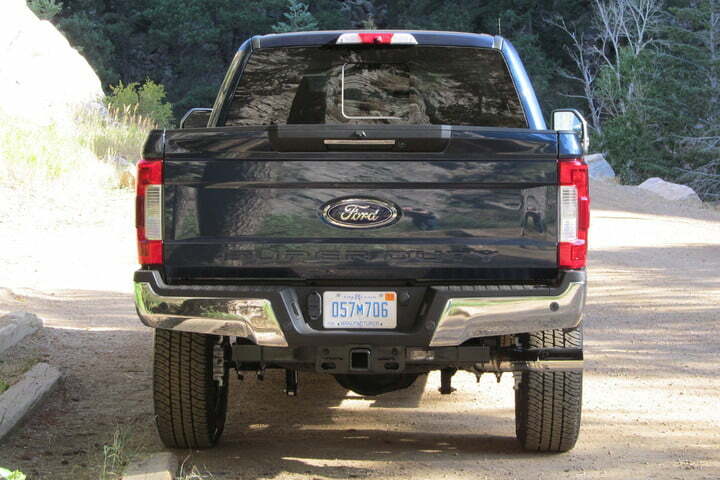 They were helpful for both maneuvering out of tight parking spaces and avoiding obstacles on the short off road course Ford set up. Also on the tech pile is adaptive cruise control. 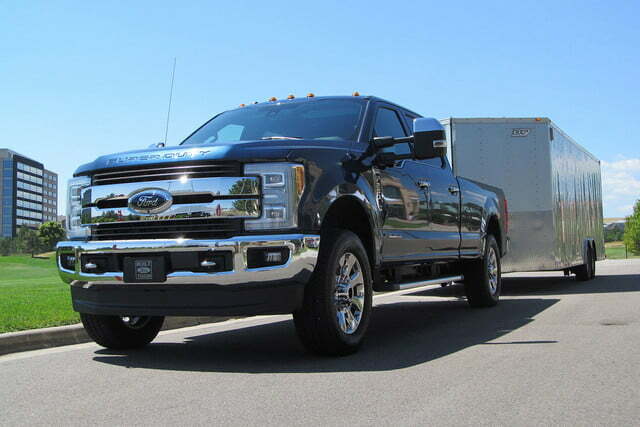 Ford says adaptive cruise control can maintain a set following distance and speed even while towing a 32,500-pound trailer. I tested it out with a 10,000-pound enclosed car trailer in tow, and it kept everything under control. When it’s time to park, a “Trailer Reverse Guidance” system displays a steering wheel on the central display, and tells the driver which way to turn. Towing pros may scoff, but it makes the job a lot easier. The optional adaptive steering varies the steering ratio on the fly for different conditions. 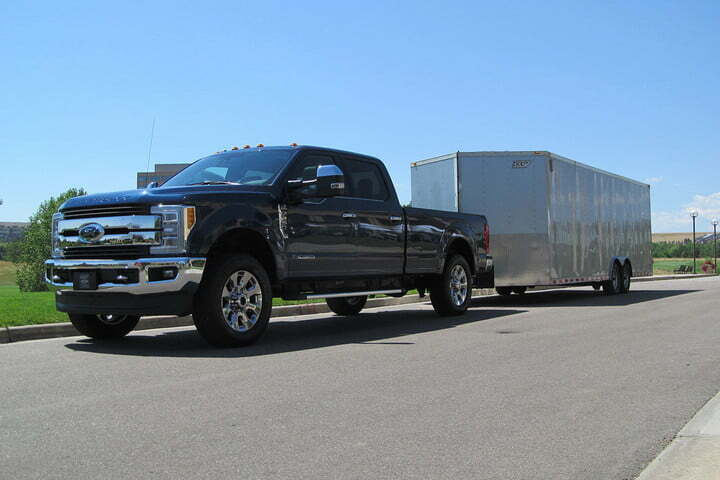 Ford says alternatively makes the Super Duty more maneuverable at low speeds, and easier control with a trailer in tow on the highway. It did both of those things well enough, but the steering always feels artificial. You can feel the system constantly changing ratios, and never know quite how steering inputs will translate to the wheels. The Super Duty can be equipped as a basic work truck, or it can have toys to rival luxury cars. Higher-level models get everything from a panoramic moonroof to massaging seats. Unfortunately, the interior materials aren’t quite up to luxury-car standards, even in the leather-swathed King Ranch and Platinum models. The interior design borrows heavily from the F-150, including the smaller truck’s 8.0-inch digital gauge cluster display. 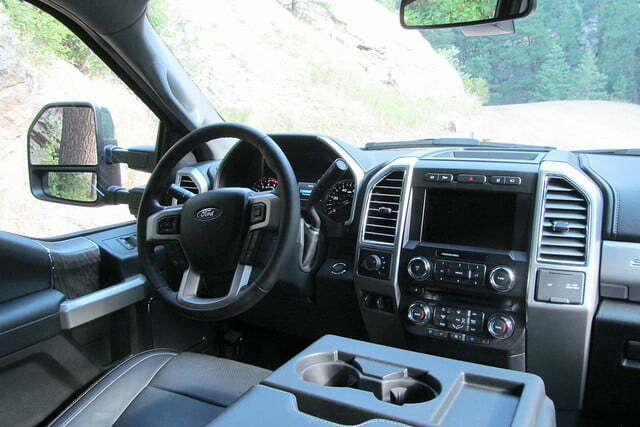 Nestled between the speedometer and tachometer, it can show things like an inclinometer for off roading, and even stats for an owner’s trailers. In most models, the display is paired with an 8.0-inch center-stack screen and Ford’s Sync 3 infotainment system, including Apple CarPlay and Android Auto. 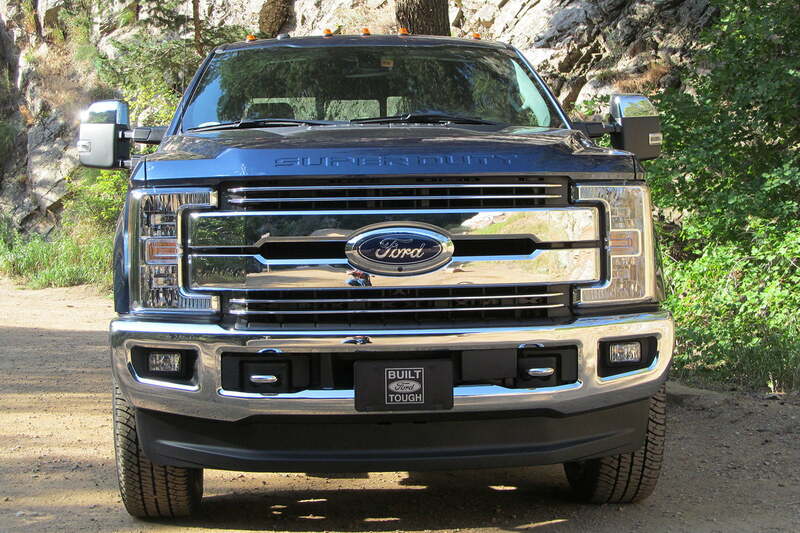 The 2017 Ford Super Duty applies tech to big trucks like never before. 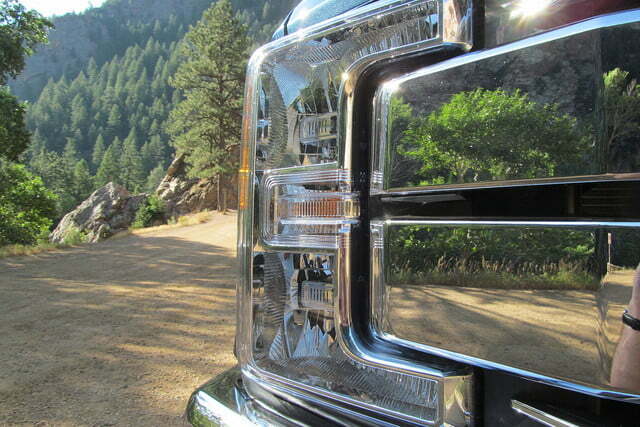 All of its cameras and assist systems bring the Super Duty in line with the cars and light-duty trucks that have offered these systems for years. 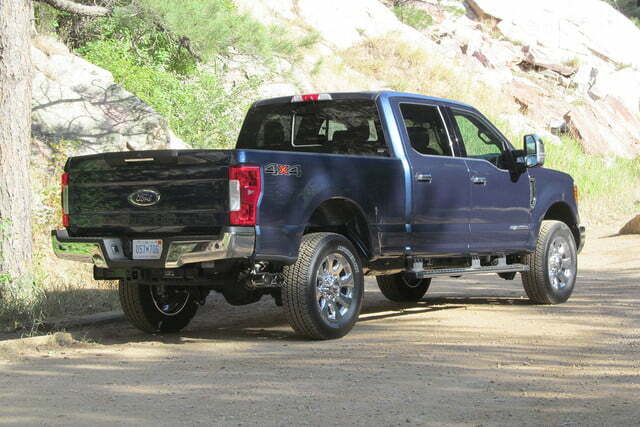 It makes for a truck that’s easier to drive, but also more complex and, likely, more expensive. Nearly every tech feature is an optional, though. 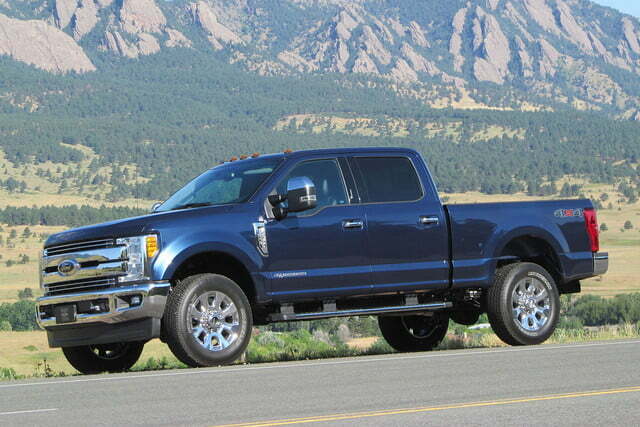 While official pricing won’t be released until the Super Duty goes on sale later this year, Ford representatives said a fully loaded Super Duty could reach $85,000. That’s a lot of money for what is supposed to be a work vehicle. 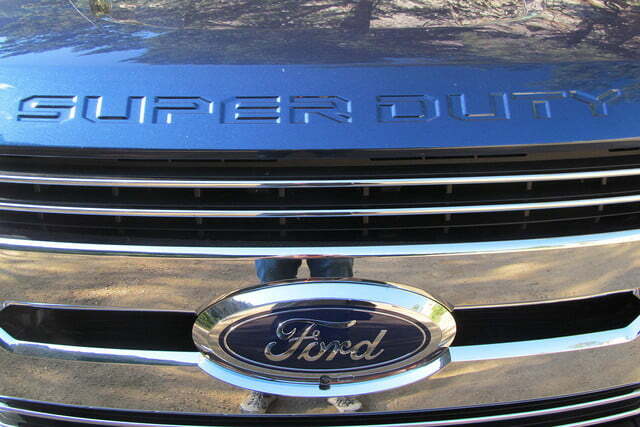 But option it sensibly, and the Super Duty could be a great high-tech workhorse.